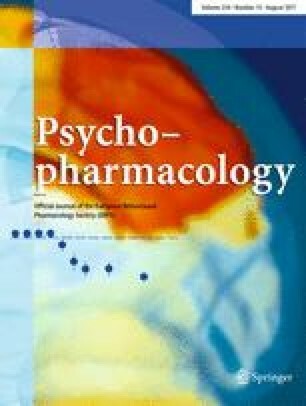 Rationale: Previous research has shown that kappa-opioid receptor agonists decrease intravenous cocaine self-administration. These agents also block the development of sensitization that occurs following repeated exposure to cocaine, which is thought to be important in the maintenance and reinstatement of compulsive drug-seeking behavior. Objectives: This study was designed to determine the effects of the kappa-opioid receptor agonist, U69593, on the maintenance of cocaine self-administration and on the ability of a priming injection of cocaine to reinitiate drug-seeking. Methods: During daily test sessions, the dose-effect curve (0.015– 1.0 mg/kg per infusion) was obtained by either repeatedly reducing the cocaine dose from a starting dose of 1.0 mg/kg per infusion or by repeatedly doubling the cocaine dose from a starting dose of 0.015 mg/kg per infusion. The effect of U69593 (0.0 or 0.32 mg/kg) on responding reinforced by different cocaine doses was determined. The effect of U69593 on the reinstatement of extinguished cocaine-taking behavior was measured in other groups. Results: U69593 decreased responding maintained by low doses of cocaine, regardless of whether cocaine doses were presented in an ascending or descending order. Responding maintained by high doses was unaffected. In animals which received pretreatment with U69593, the priming effects of cocaine were significantly attenuated. The effects of U69593 were specific, since amphetamine-induced cocaine-seeking was not altered by prior administration of U69593. Conclusions: These findings demonstrate that U69593 attenuates cocaine self-administration and the reinstatement of drug-taking behavior which occurs in response to experimenter-administered cocaine. It is suggested that U69593 may decrease low dose cocaine self-administration by decreasing the priming effects of cocaine.